Lynn Kennedy is a Wolfpack Hustle Dog Tag holder. She placed 1st Ladies' Fixed and 1st Overall in the female category at the 2011 Wolfpack Marathon Crash Race. 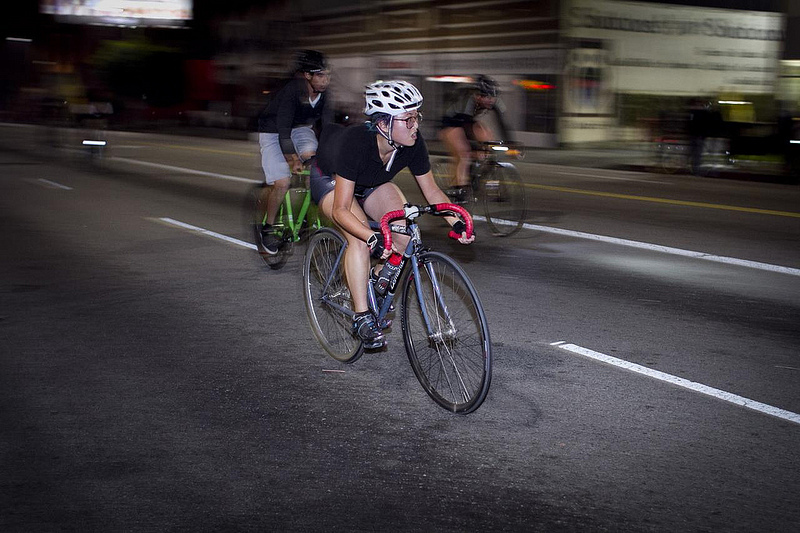 Lynn has been riding bikes for 10 of her adult years, 6 years fixed and she has only competed in street races and track racing at the Encino Velodrome for the past few years. 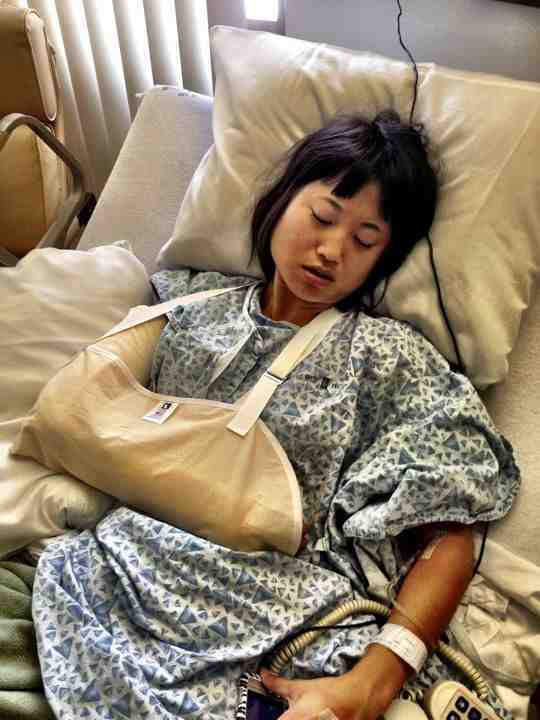 In 2012, Lynn crashed and shattered her right elbow. 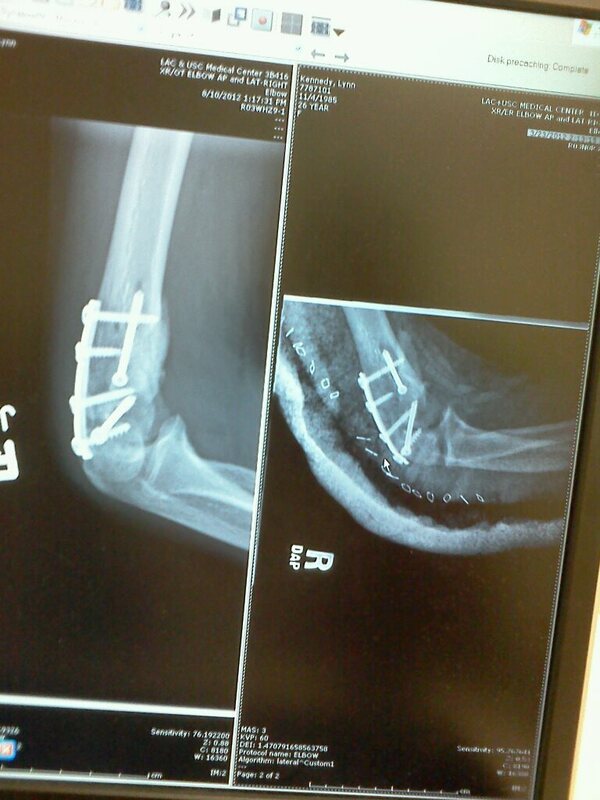 With a permanent metal plate and screws in her elbow, she had to take six months off from riding to heal. “My accident happened while riding with the guys on a Wolfpack Hustle ride two weeks before the 2012 MCR. I was super bummed that I couldn't compete to defend my title.” Not being able to train and prepare for the last year because of her accident, Lynn is happy to have placed in the top ten in the ladies’ category taking 4th place in the MCR this year. Currently, Lynn works at the store, Velo Love, in Los Angeles, which is owned by the urban cycling apparel company, Swrve. Lynn also helps organize races and other events for both Swrve and Velo Love. One on one with Lynn Kennedy: What influenced you to pursue racing? Why? I started racing street races for fun and found out that I was good at it and it inspired me to race more. In the fall of 2010, I signed up for a six-week intro class to track at the Encino Velodrome and had done well in the Summer Series races held there. Racing is still a fun thing for me. Once I get a road bike I plan on becoming more serious about racing. My goal is to race my first sanctioned race this year. What have been your results this year in "sanctioned" and "unsanctioned" races? The only race I have done this year is the Wolfpack Marathon Crash Race where I placed 4th in Ladies’ Fixed and 9th Overall in the Ladies’ Category. I did the 26.2 miles in one hour and six minutes. The last race I did before this year's Crash Race was Cranksgiving in November 2012. For that race I placed 1st female and 17th out of forty-one racers. What do you think about when you train for races? I make a goal to win and think about winning while training. Anything can happen in a race and I know sometimes winning is not in the cards, but I set my goals high and I try my best. What interests do you have outside of cycling? I enjoy cooking and occasionally baking, traveling when I can, shopping and spending time getting my hair done with my friend Julio that owns ASE Salon on Melrose Ave across the street from Orange 20 Bike Shop. ASE Salon is like my second home when I am not training or racing. What is your all-time favorite racing moment to this day? Honestly, my all-time favorite racing moment to this day is when I won the Crash Race in 2011. That year it was pouring rain the entire race and freezing. It was the most suffering in a race I have ever experienced. It was like going through Hell and coming back. I was so excited when Roadblock put that set of dog tags around my neck. It is definitely a moment in my life I will never forget. What are you looking forward to this year whether in "sanctioned" races or "unsanctioned"? I am looking forward to the turnout that the Wolfpack Unified Title Race Series will bring out and I am hoping to still place well in the next 2 races of the series.